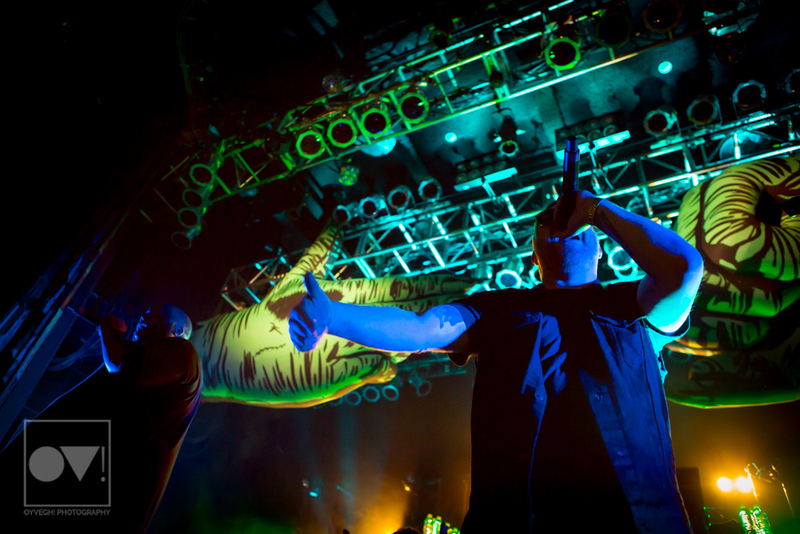 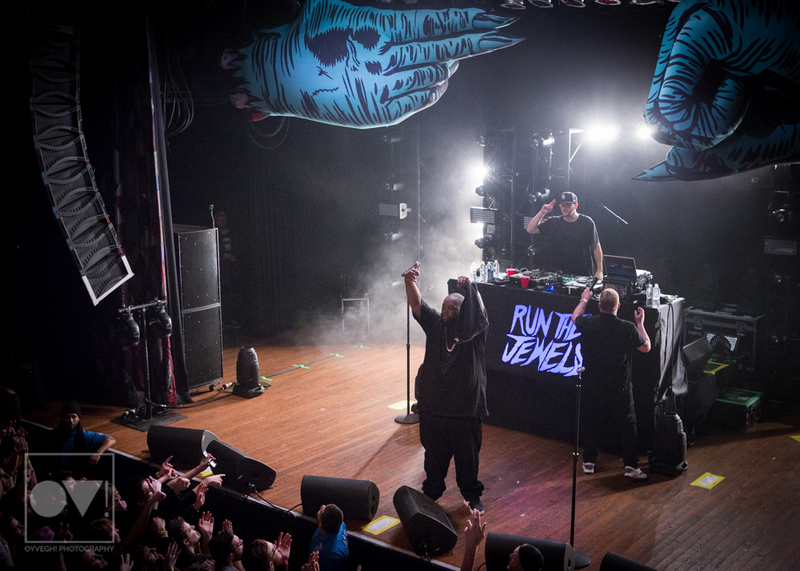 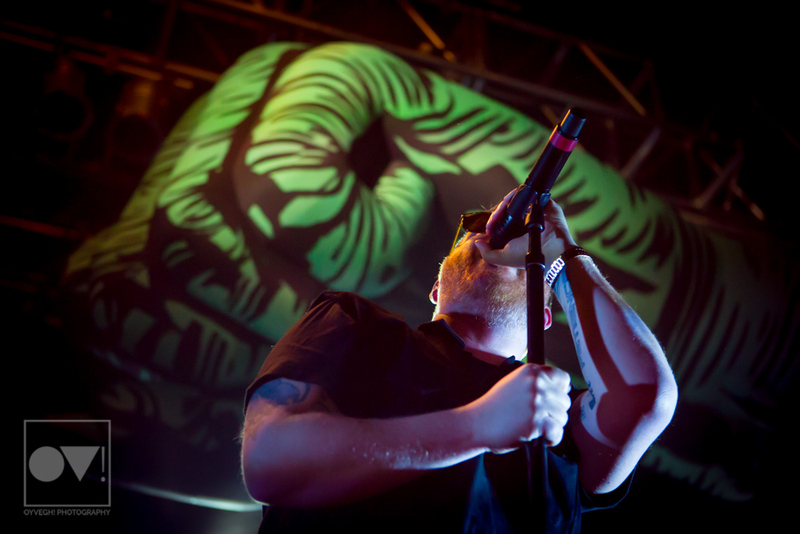 Run the Jewels brought down the sold out Cleveland House of Blues on January 14th. 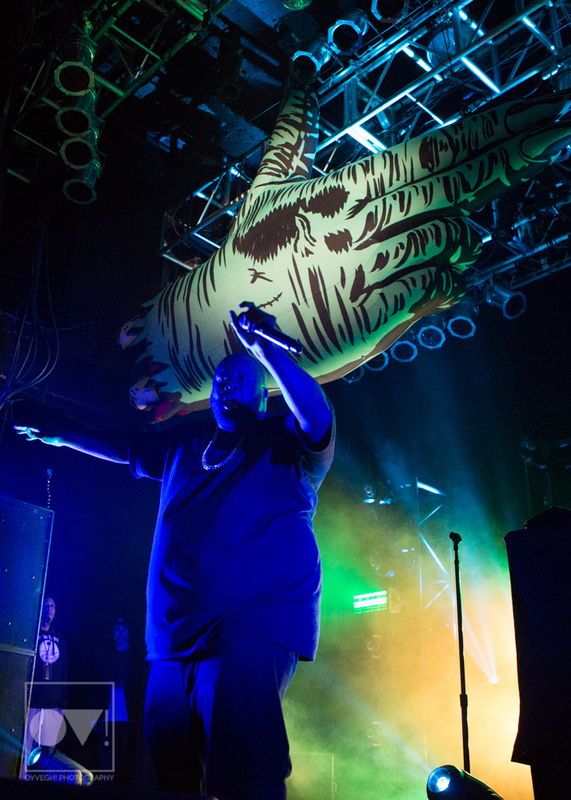 From the moment Killer Mike and El-P stepped out into the lights amidst the thick marijuana haze, the crowd went wild, throwing up the iconic RTJ "fist and gun" hand gesture. 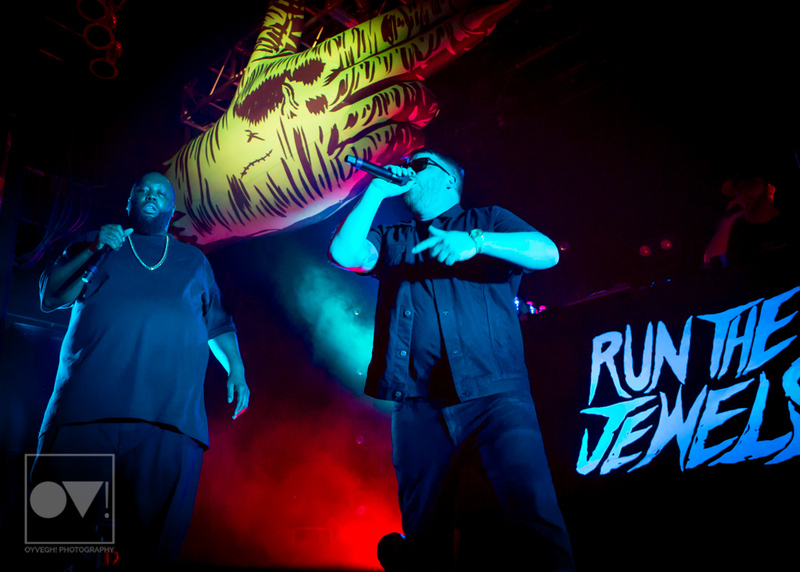 The duo, with support from DJ Trackstar, launched their 17-song setlist with "Talk to Me" off of the newest album, RTJ3, released this past Christmas. 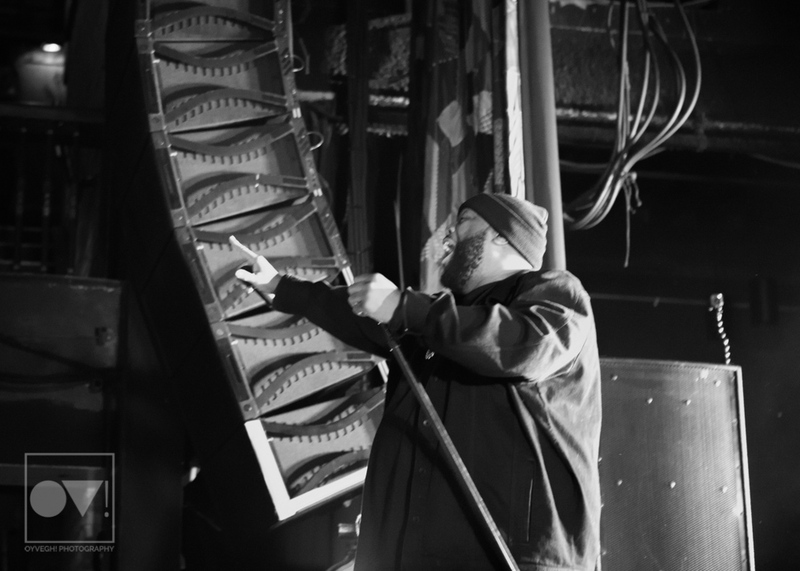 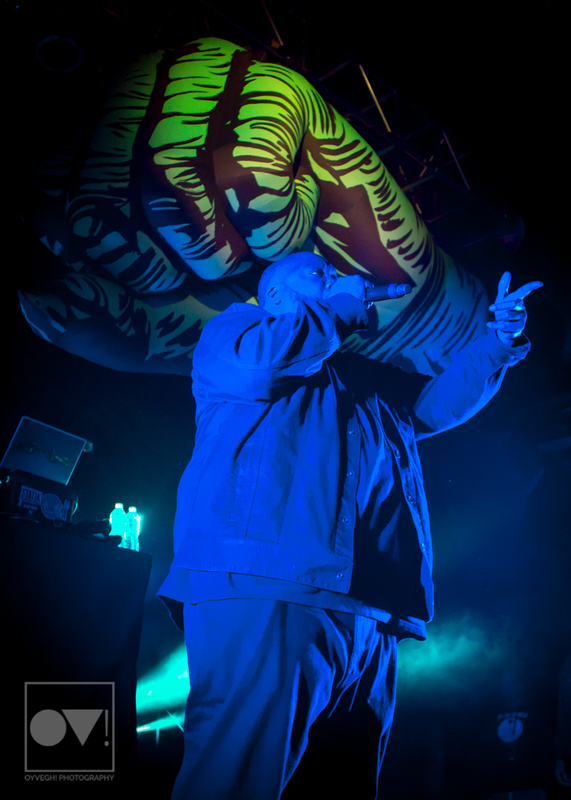 Throughout the show, Killer Mike and El-P never let up on their energy, sticking close to the edge of the stage, leaning over into the unrelenting fans who danced and bounced through each floor-quaking beat. 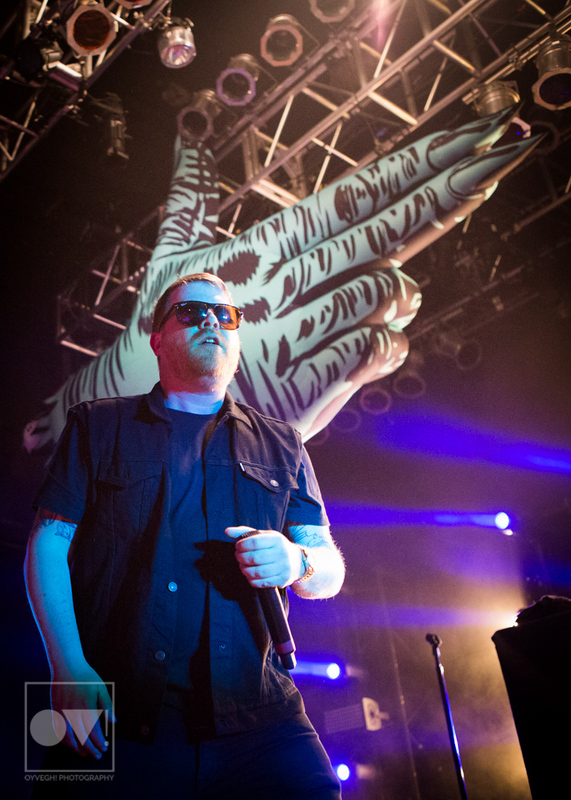 Despite the fun, RTJ came with a message for politically tumultuous times in the encore with "Kill Your Masters". 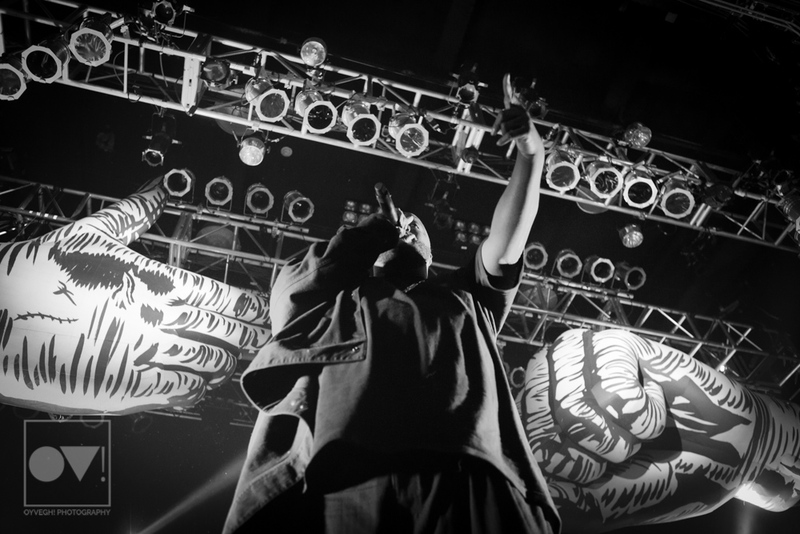 As Killer Mike rapped, "Hell coming and we got about a mile / Until it's over I remain hostile," the crowd pushed closer to the stage, taking in the energy and receiving the message loud and clear.